Over 160 finely detailed parts go to make this exciting big model of the 16th century fighting ship Revenge. The kit includes preformed ratlines and complete set of vacuum formed sails. 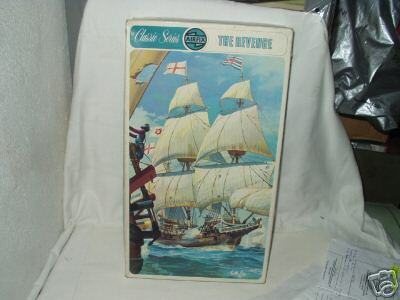 Commanded by Sir Francis Drake, the Revenge won fame against the Spanish Armada. Later, under the command of Sir Richard Grenville, she was attacked by fifteen Spanish galleons. Sinking two and crippling two others, she was finally forced to surrender. The Revenge sank in a storm while being taken to Spain by her captors.